"I am the terror that flaps in the night. I am the low ratings that cancel your program." Phrases like these are what stuck with me and anyone else who grew up watching "Darkwing Duck" on The Disney Afternoon as a kid- "I am the ten dollar service charge on all returned checks. I am Darkwing Duck!" As a kid you never stop to think about the people behind-the-scenes creating these cartoons, such as Jim Cummings in a sound booth recording the voice of Drake Mallard, or Philip Giffin composing the music... but it was Tad Stones who was responsible for it all. 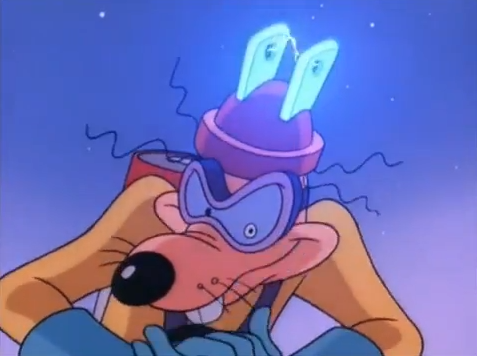 The series creator, and the writer/ producer/ director of the show, has done a lot more than "Darkwing Duck", but he was kind enough to humor my questions in an interview specifically focused on it. Let's get dangerous. Jason Anders: So I'm curious about your thoughts on The Duck Knight Returns, the Boom! 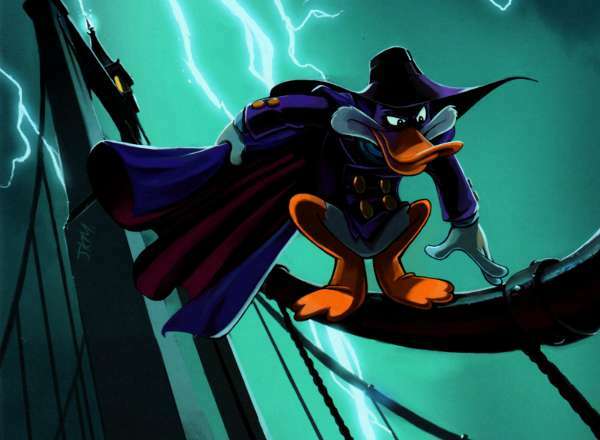 Studios comic book reboot of Darkwing Duck by Ian Brill and James Silvani. What is it like to see your creation through the eyes of new artists? Tad Stones: Their previous editor, Aaron Sparrow, brought me in to talk after they were well under way, but before they were published. We actually met at a restaurant and they plied me with food to get me talking. I met with Aaron, Ian, and even James when he was in from Hawaii. 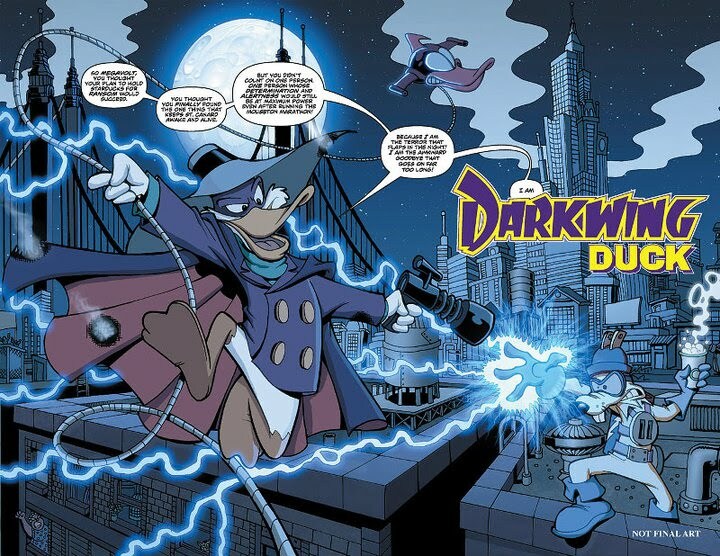 I really appreciated how they took the essence of Darkwing Duck and brought it into modern comic storytelling. I know I wouldn't have done that. I would've concentrated on "one and done" issues because DW is a child of the Silver Age comics mentality, and I probably would've chased that. But fans like building a continuity and reading stories with a bigger arc unfolding in the background. I mostly talked to them about character personalities and getting the most out of them. I hit Gosalyn especially hard since they had put her in Gizmoduck's powered suit. Gosalyn's main role is not to be a superhero sidekick or spin-off. She's a source of chaos that complicates DW's life. In fact the animated series would not have sold without her, so I wanted her to get her due in the comics. 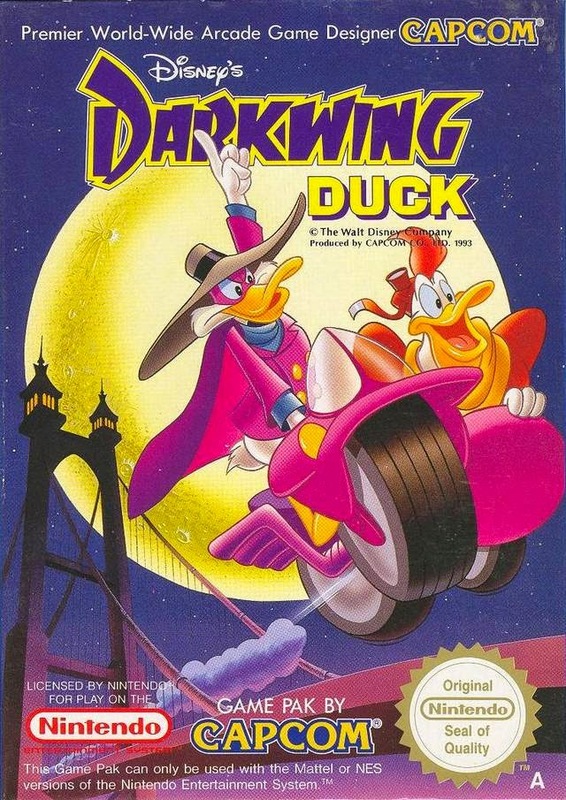 JA: What do you recall about the original Darkwing Duck series? Was it considered a DuckTales spin-off? 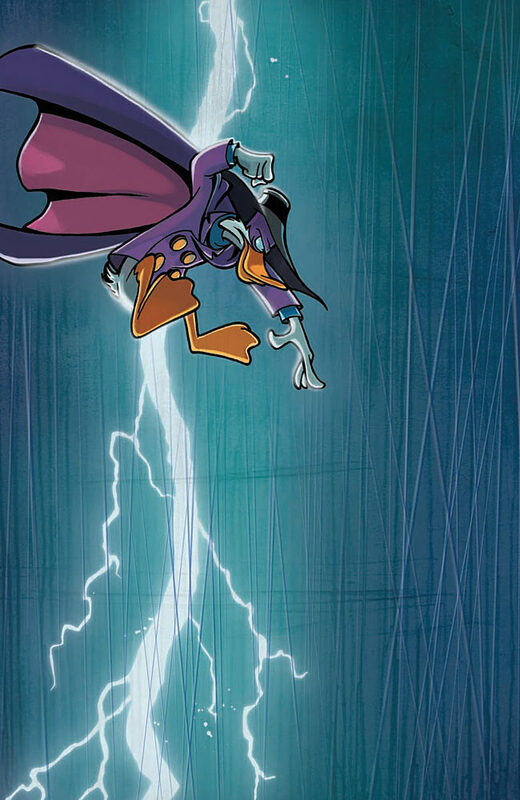 TS: Darkwing Duck is not really a DuckTales spin-off. People assume that because of Launchpad. 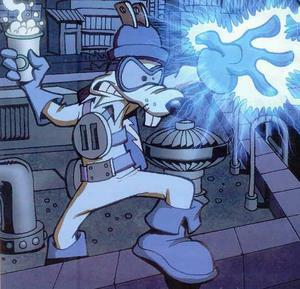 The series development started as a spy-spoof based on the title "Double-O-Duck", which was also a DuckTales episode featuring Launchpad. But it was the title, not the episode, that got things started. The story of how DW was created is in a prose piece in the first Darkwing Duck trade paperback from BOOM! Studios. 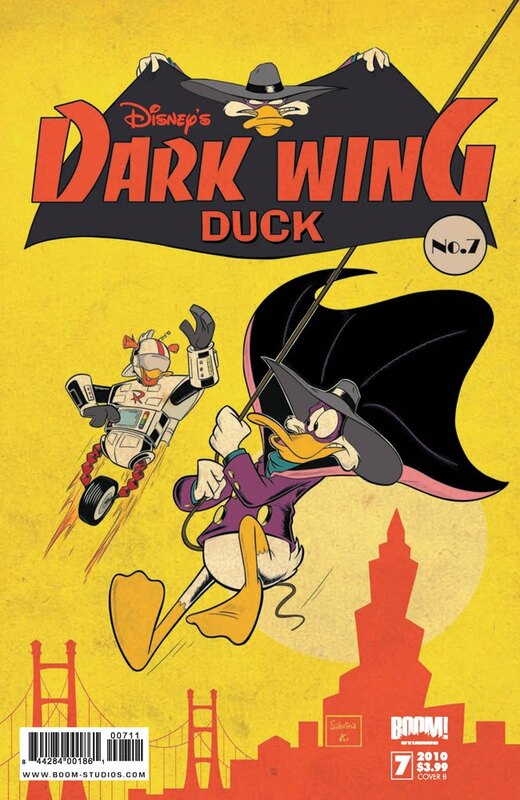 They're reprinting it in the Darkwing Duck Annual that's out in April. It also has an eight page story from me that introduces a new villain. It's told from Gosalyn's point of view. JA: How much creative freedom were you allowed on the show? TS: Our initial development was watched closely, as well as the first few scripts, but after that we were free to go wild. Every show has a development executive to give notes to, and ours was Greg Weisman who had a background as an editor at DC comics. It was a great match. 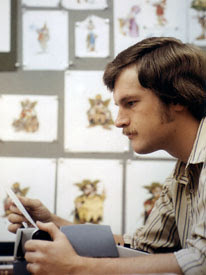 Of course, Greg came over to the light side and became an animation producer of his own creation, Gargoyles. Greg is at Warner Brothers now producing Young Justice for Cartoon Network. 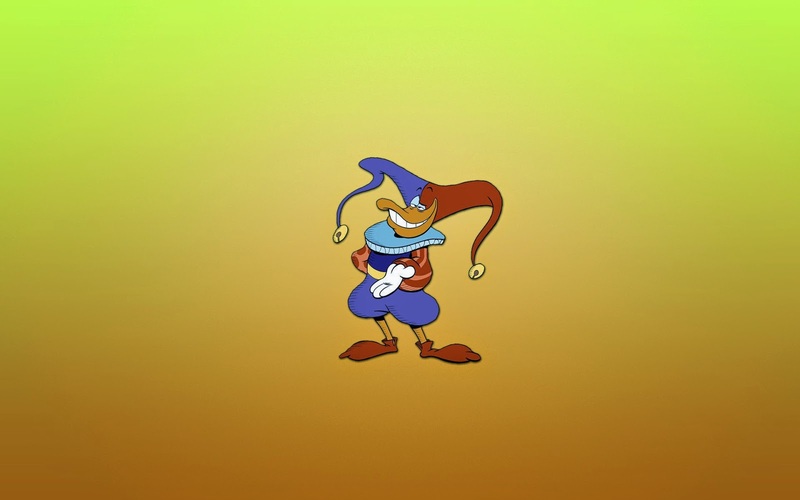 Actually, we did have some hiccups in the last ten or thirteen episodes of Darkwing Duck which were produced for ABC. 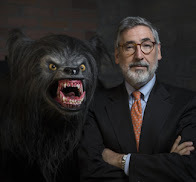 They just chose their first season from finished scripts and episodes that were originally slated for syndication. But the second season had to go through the usual network pitching grind where they tell you how to write your show. We still turned out some good episodes for them. As to how close it was to my original vision, the stories mutated with the contributions of my great team of story editors. Animation-wise, I loved the work of Disney's Australian studio who loved the show and gave us first rate animation. That's when I felt the show had matched my dreams. JA: What was the typical production week on an animated series like during this time? TS: That's nearly twenty years ago. I've done so many episodes with many of the same people in different configurations that it's pretty much a blur. A happy blur, but a blur nonetheless. Everything was funneled through me for notes, but I hired talented people and let them do their jobs. It's fun when your job is looking for ways to make great work better. But I'm a storyteller at heart, so a large portion of my time was spent with scripts and the story editors. JA: Which are your three favorite episodes of the show? TS: I won't say they're my favorites, but there are a couple that do come to mind, like "That Sinking Feeling", which was the pilot script written by myself. I tried to emphasize the character relationships as well as the reality bending-gags I wanted- Like playing the climax on a baseball diamond where they're suddenly wearing partial baseball uniforms without explanation. Then it went out and was animated by Disney Australia and came back funnier than we sent it. I'll always remember the crew laughing uproariously at the pencil test version of that episode. I also like "Comic Book Capers", which I think was edited by Kevin Hopps. "Little Running Gag" feels like Kevin. Anyway, I love how it plays with both the film and comic book format. It was a very original story with some remarkable visual gags. I'm blanking on the episode's title, but I also was delighted by the introduction of Splatter Phoenix by Carter Crocker. Characters ran in and out of the paintings at the art museum, sometimes taking on the characteristics of the artist. Great dialogue from Splatter in that too. JA: Do you have a favorite Darkwing villain? TS: Megavolt, especially as written by Doug Langdale. Only Doug would think of having Megavolt rob a jewelry store, only to free its light bulbs which shattered tragically when he let them go. Negaduck was over the top and lots of fun, but Megavolt was more unique. Bushroot is another favorite, our take on Swamp Thing. 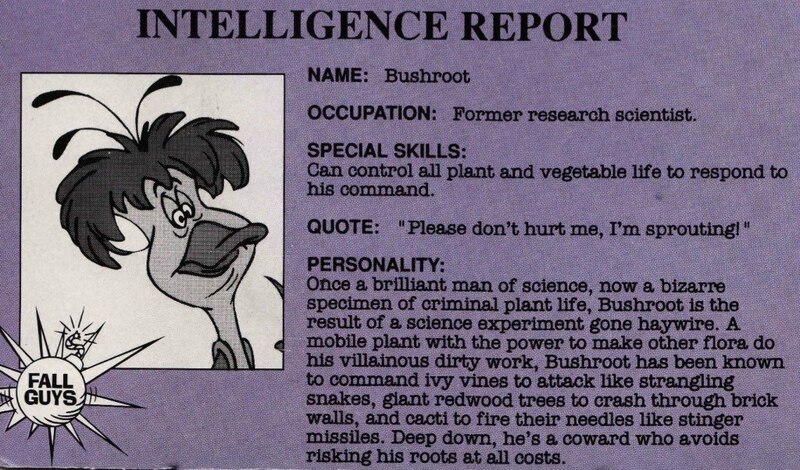 I don't really think of Bushroot as a villain, he's just too sympathetic. Great voice by Tino Insana. JA: Was it ever decided what Drake Mallard actually did for a living? TS: It was a conscious decision not to reveal what Drake did. It was a nod to old sitcoms when Dads came home from unspecified jobs, put down their briefcases and donned sweaters and pipes to dispense family wisdom. Also, there was no point in choosing a profession; any story dealing with it would take the focus off of Darkwing's adventures. Kids don't care. JA: How did you go about casting the voice actors for the series, and was there a lot of improv that made it into the episodes? TS: Ginny McSwain was our voice and casting director. I would talk over the characters with her and she'd bring them in. She rarely missed. The main characters went through a lot more scrutiny including many auditions and lots of meetings. There wasn't much improv. Sometimes a mild rewording, but it was the performances that made the scripts really shine. JA: Do you remember any specific visual gags, references, or easter eggs that people may not have caught, such as the references to Gary Larson or The Great Mouse Detective? TS: No. I did both those gags. I'm sure there were many more by others, but none that come to mind. JA: Overall, how would you describe your experience with the show, and is there anything you would do differently if you could go back? TS: There were lots of action gags that didn't quite work. I'd love to go back and tweak those. Also I'd really tighten the editing of the shows. Modern film and television is edited in a different way now. It's hard for me to watch. But it was a great experience. My two career highlights are Darkwing Duck and Hellboy Animated. JA: Do you have any future plans involving Darkwing Duck, such as recording commentaries or blogging about the production of the show? Fans were somewhat disappointed by Disney's release of the DVD having edited episodes and void of special features. 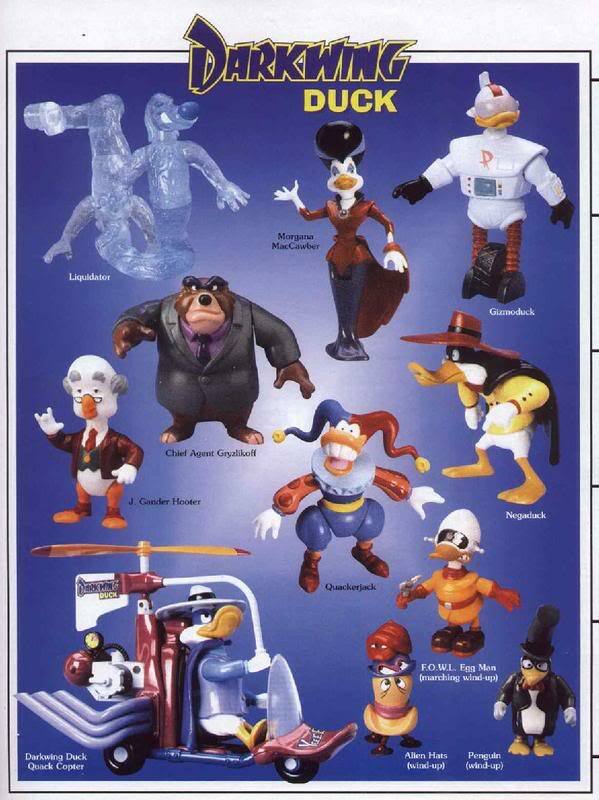 TS: Darkwing Duck is 100% owned by Disney. I have nothing to do with it. As to blogging, I've done some but I don't need to live in the past. I have an original comedy in development with Cartoon Network. Can't say what it is. I'm currently working at Bento Box Entertainment on the new Fox primetime show, Bob's Burgers, which has been another great experience. I tried to tell people at Disney that Darkwing's original fans are now starting to have kids of their own, a perfect target for Darkwing Duck direct-to-video releases. But Disney has different plans for their home video originals, and John Lasseter was way too busy in the early 90's to have Darkwing on the radar. 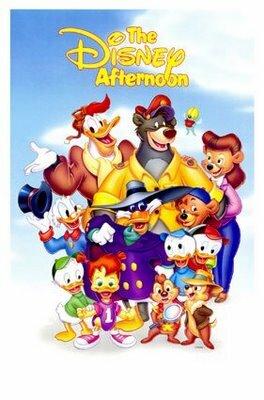 I dare say there are few executives now who understand how big The Disney Afternoon was in its day. George Lucas once said that DuckTales was to syndication what Star Wars was to movies. 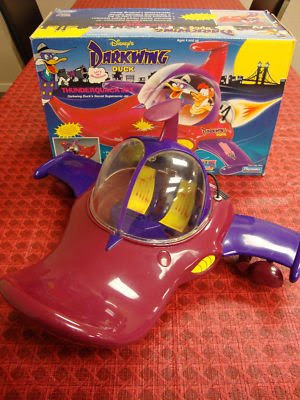 If you want more Darkwing stuff you, have to buy the Darkwing stuff that's out there. If the existing DVDs sell big, Disney will certainly release the rest of the episodes. 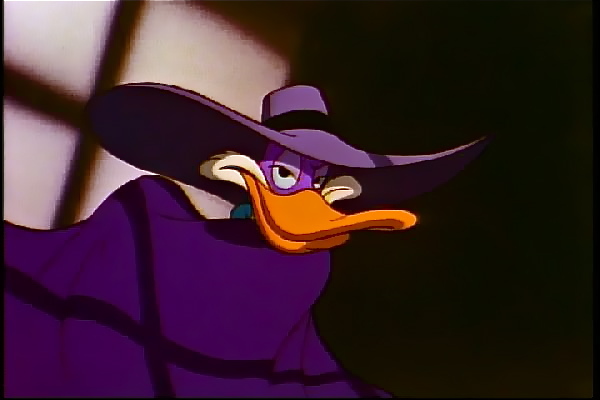 However, I did meet a Disney marketing executive at San Diego Comic Con who said there are Darkwing fans in the lower echelons who are now entering middle-management positions. That could change Disney's outlook. So I guess there's hope for you after all. Buy Darkwing Duck on DVD here. Buy Darkwing Duck: Duck Knight Returns here. Asking Interesting People Interesting Questions. Fulle Circle Magazine is a publication of interviews, articles and essays for anyone interested in interesting people. Edited by Jason Anders.